These web design tips can be used by newbies and advanced web designers alike. Sometimes it pays to go back to the basics and build a website based off of principles that really work to attract visitors to visit again and again. Use a cohesive color scheme. If your business has specific colors or a set company logo, this is a good place to begin. 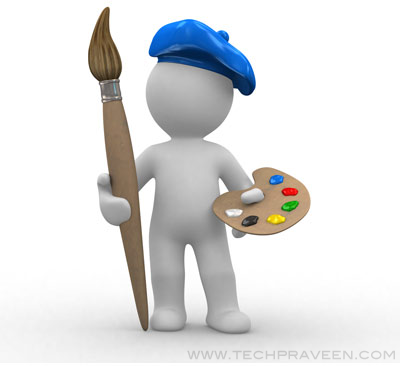 If you are starting from scratch, choose several colors and stick with them throughout the design of your website. If you’re not sure what color scheme to choose, check out a few of your favorite websites and see what looks best. You can use these websites to model your website color scheme off of. Start with a template. If you are new to web design, a template is a great place to begin. Many templates come with web design software or can be downloaded for free. Additionally, templates are often customized to specific niche markets, like health and beauty, business, or blogging. Make your website user-friendly. Many web designers make the critical mistake of designing their website only for SEO. But that is only one side of the coin! It is equally as important to design your website for visitors, as well as search engine spiders. Yes, it is important that your website is optimized so that it can be indexed in the search engines. But if visitors can’t find your website or can’t navigate through all of the pages, then your traffic will leave, and your sales will decrease. Remember that less is more. As you get more experienced in web design, it can be tempting to go out with guns blazing. But many times, less is more. Have you ever noticed that the Google homepage is completely blank, yet it is the one website that controls the entire Internet? In the same way, put careful thought into the special effects that you use for your website, like flash and spinning graphics. These special effects can be distracting and may cause a page to load slowly. Consider the color of your background. It is most important that any website visitors can clearly read the text on your website in contrast to the background. This means to avoid yellow font on a white background or gray font against a black background. A black font against a white or lightly tinted background is your best bet to ensure that all content is attractive and easy to read.